Is it safe to use benzodiazepines and opioids together? Home » Posts » Mental health » anxiety » Is it safe to prescribe benzodiazepines and opioids together? Benzodiazepines are most commonly prescribed for the management of anxiety and insomnia. They can also be used for sedation or amnesia before medical or surgical procedures, treatment of seizure, treatment of alcohol or sedative withdrawal, or acute agitation. Known side effects include drowsiness, fatigue and ataxia (the loss of full control of bodily movements). 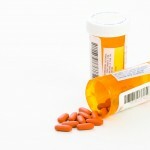 Opioids are used most commonly for treatment of pain. Like benzodiazepines, they also have the potential to cause depression, resulting in sedation and decreased mental alertness. This Rapid Response Report from the Canadian Agency for Drugs and Technologies in Health (CADTH) examined the evidence on the risk of serious adverse events related to combination benzodiazepine-opioid use. The report was limited in scope, but it did find some evidence from non-randomised studies that suggests a positive association with the use of benzodiazepines in combination with methadone and mortality risk. According to the evidence, there is a positive association between the risk of death and the use of benzodiazepines in combination with methadone. Though limited, there is an indication that opioids, including buprenorphine, have the potential for increased risk in combination with benzodiazepines. Clinical mechanisms are hypothesised. As a result, it seems reasonable that use of opioids with benzodiazepines should be limited until this risk is further clarified, with each patient case assessed on its own merits. Further research that will examine the effect of combination benzodiazepines use and opioid therapy, especially buprenorphine, may demonstrate lower risk with this combination. Combination Benzodiazepine-Opioid Use: A Review of the Evidence on Safety (PDF). Canadian Agency for Drugs and Technologies in Health (CADTH), 16 Sep 2011. I take klonopin 0.5mg, and percocet 325/5mg, my doctor says I cannot now take both that I have to choose between the two. What I have been taking this combo for 5 years now. If this regimen has worked for me, why now do I need to change? If I haven’t died yet, why now?? Your fortunate that your doctor has you on such a level level of and less toxic type of benzo. Nonetheless, it’s important that it be titrated slowly. I hope that your doctor is doing this. I have a friend going through (or tried) to withdraw from oxycodone via suboxone but her Albuquerque Neurological clinic totally mangled her treatment program. This woman had surgery for breast cancer about 100 days ago, and is still in pain. As for your case, I don’t think getting off valium will be that bad, but I’m troubled that you havr apparently unaddressed chronic pain, which can be mentally and physically debilitating if left unattended. Ask questions! Go to your doctor and ask questions! Their is a lot of irrationality in the air about opiates right now(cf. Bloomberg in New York arbitrarily limiting the amount of pain medicines in emergency rooms, stating outright that those who don’t get the pain treatment they need will just have to suffer. For all my criticism of physicians, the very best I’ve seen (outside of combat) have been ER doctors. Hope this helps. God Bless you! I have been in Pain Management since 1999. I had a double level total laminectomy and fusion with titanium cages and a year later a second revision surgery where rods and pedicle screws were implanted around the fusions to stabilize the area. During this period I developed chronic severe anxiety for which I was referred to a physchiatrist who put me on .5mg Klonapin x 3 daily. In 2003 I started seeing my current pain management doctor who had no issues with my medication regime and was fully aware even in 2003 of the interactions. Note: I was also prescribed Soma for muscle spasms and to help with sleep. In 2010 my PM doctor abrubtly discontinued the Soma citing it was addictive according to a CDC report. “This clinic will no longer prescribe Soma, period” were his exact words. I found it very perplexing that at that time I was on Oxycontin 40mg x 3 daily and Hydromorphone 4 mg x up to 6 daily prn both which are extremely addictive and he had no issues prescribing these and the Klonapin still was not an issue. So I was given 30 days to wing myself off of the Soma which even after 7 years of taking it up to 3 times a day had no significant withdrawal symptoms physically or psychologically. I don’t know who labeled Soma a highly addictive drug but it had no addictive qualities for me. the only issue I had from discontinuing it was frequent low back, leg, calf and foot muscle spasms and developed insomnia. Discontinuing Soma also caused me to have to increase my pain medications to make up for the relief I was getting from Soma. Now in June of 2016 my PM Doctor tells me that the CDC reports that people dying from opiate related overdoses were times as likely to be pon a combination of Benzos and Opiates therefore his clinic would not prescribe Opiates to people who must take Benzos for severe anxiety. My psyhchiartrist didnt seem to have much concern regareding the possible interactions of slowing the respritory system and since Ii had been taking both for almost 2 decades didnt see me as a high risk for a possible OD. Still my PM insisted one or the other. “No wiggle room, that is our policy period”. I find this new follow the CDc recommendations and put all of your patients in the same basket type of policy. It makes absolutley no sense not to treat patients on s case by case basis and reveiw the potential for addiction and abuse as well as the possibility for OD. I have been 1005 compliant with my medications for over 15 years with this PM doctor and had developed a long doctor patient relationship. This relationship is formed from trust and time. You cannot just go down the street to the next PM doctor and get that rust factor. I feel like I have been convicted to suffer a life of either Intractable radicular pain, stenosis, post laminectomey syndrome or suffer with paralyzing anxiety and panic attacks. How can this doctors policy even be legal or ethical? I have been given 2 other anti-anxiety meds to try with no luck. I can not take anti-deppresants as they cause the reverese effect and increase my anxiety. The opite pain medications I take provide the only significant relief I can get from my spinal issues and radicular pain. How do I confront my doctor who is not going to change his mind even with a long term 100% compliant patient who is tolerant to both classes of medication and does not pose any significant risks by continuing to take these medications the same as i have for 15 plus years. I am terrified, I am afraid of my pain it is so intense and the anxiety which causes the pain to become even more intense will surely leave me in a state of constant panic and I will surely become a recluse as I can not socialize or be around other people including family with my anxiety left untreated.